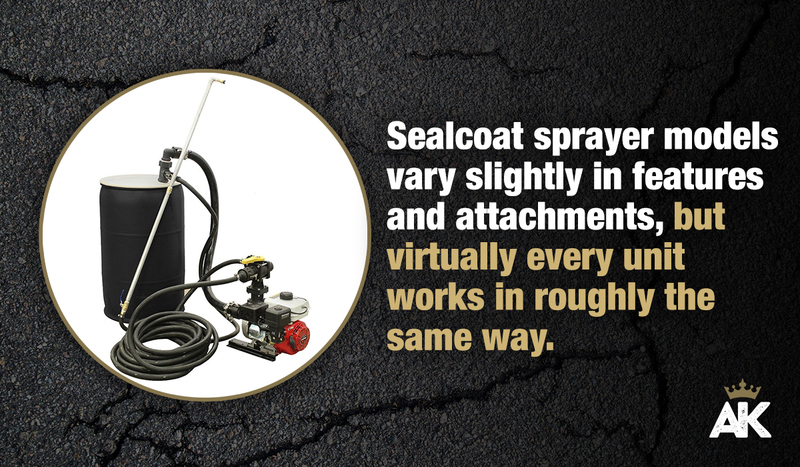 Priming your sealcoat spray system is the first step to getting your machine running at peak performance. It's easier than you think! 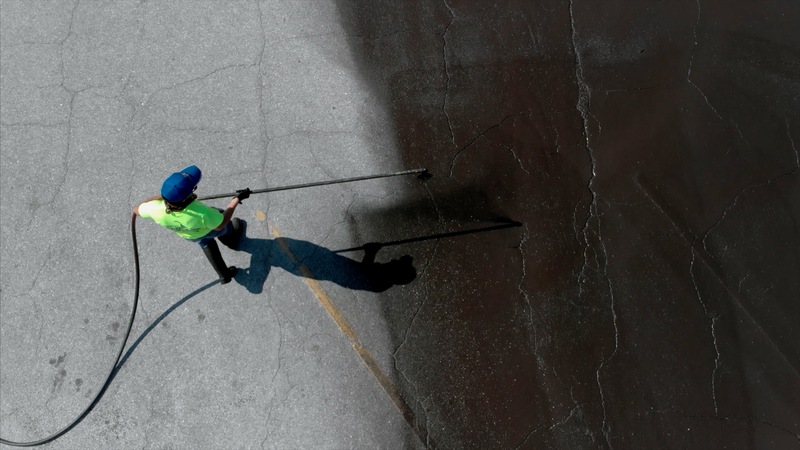 It’s very important to prime your sealcoat spray system for a variety of reasons; to keep your unit in top shape, avoid blockages and keep it running smoothly. Here are the best ways to do so. 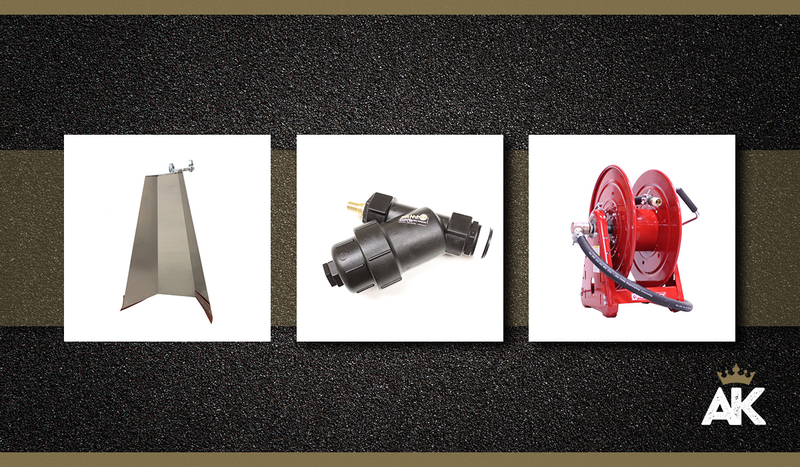 Whether you have the AK Drum Spray System, the AK Tote Spray System, or the AK130 Residential Sealcoat Sprayer, we’ve got you covered. We suggest first getting an understanding of your unit by doing a practice run with water, to see how the sprayer feels, primes and works. From there you’ll be able to get to work with a more viscous material, (a thicker liquid with higher viscosity) like sealer, and avoid making mistakes that you might without doing a practice run. At the end of your job you can also flush your unit as well, by running water through your pump. Stick the suction port hose of your unit that connects to the side of your pump, into water and run your unit on re-circulation position. This will spit water out of the return feed coming out of the top of the pump, out of the hose and will dump it back in the water source. This will flush your unit out and should allow for proper priming. Prior to submerging the barrel kit into liquid in the sealer, you want to make sure you mix up your drum very well. You can do this using a Drill Mixer, a paddle, a paint mixer etc. to get the drum completely mixed so that it is in full liquid form. You do not want it in a sludgey-clay form where it has settled at the bottom. 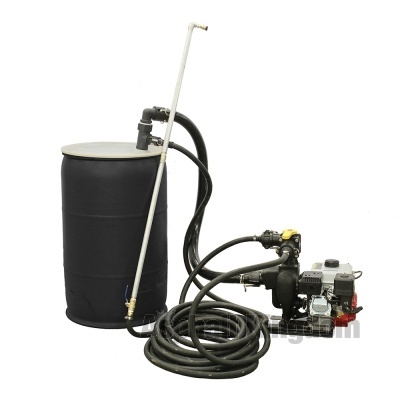 Next, take your barrel kit system, put it into your 55-gallon drum or sealer source, and attach your suction feed hose to the side of your pump and to the barrel kit. 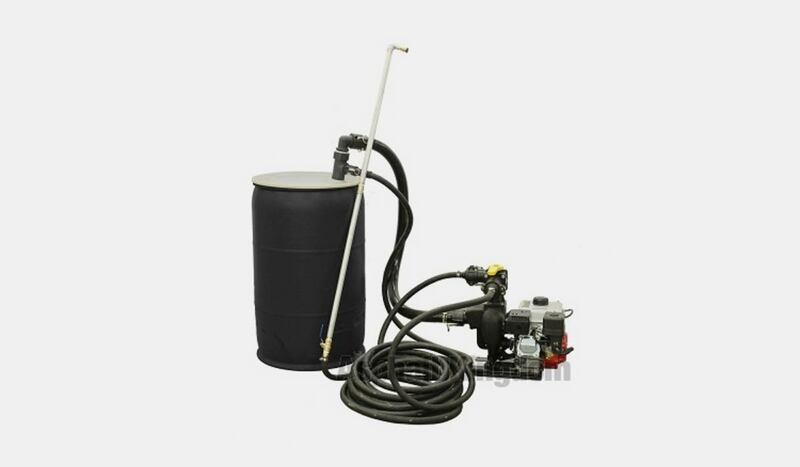 Then connect the hose on the return feed, which is on the top of the pump, connected to the top of the barrel kit and make sure that that it is in your sealer source, submerged in liquid. 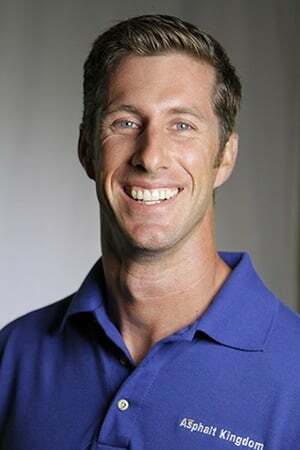 Check the oil in the engine and make sure there is gasoline in your motor. On your pump you have an orifice cap on top. Remove the orifice cap and put one gallon of water or fill the pump to the top. Then put your pump cap back on and make sure that your valve on top of the pump is in the recirculation position. Recirculation ensures that it is sucking sealer through the side of the pump, from the barrel, out the output part of the pump on the top and returning it back through your barrel kit into the drum. Once your valve is in the recirculation mode, start your engine and put the throttle up to its highest level to get your RPMs engaged. You will hear your pump go from a low hum, to a deeper humming sound, which means that your pump has engaged completely. This now means that your sealer is recirculating and your pump is fully primed. Instead of using the barrel kit you are now using a tote. Start by connecting the suction feed to the tote, to the side of your pump. Your return feed should go from the top of the pump to the top of your tote. Next, remove the cap, fill your pump with water, and make sure you have oil and gasoline in your engine. Then start your engine up and make sure your machine is in recirculation mode and that your throttle is fully engaged. The functionality of all of our units are identical, there is one suction port on your pump and there is one output port on your pump. You want it in recirculation position when you are priming your unit. Make sure that you have the suction feed going into your tank, and that the suction feed valve is open. The valve on top of your pump should be in recirculation position returning sealer to the top of your AK130 Residential Spray System. Fill your pump with water, make sure you throttle your unit up and you will start to prime your unit. In cases we have seen where there have been challenges in priming, it’s simply because the sealer is too thick or that there’s air getting into the pump. There can be no air getting to the pump, hence why we add water to the pump, to create a full water-tight prime.